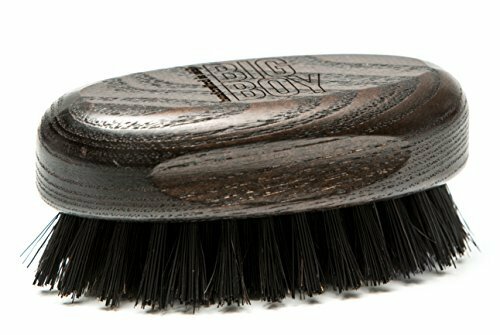 Made from Boar Bristle – This Smooth Viking Beard Brush uses bristles from 100 percent real Black Wild Boars for grooming your facial hair. Absolutely no extra synthetic filler bristles to irritate your skin or fall out while brushing your dry beard. 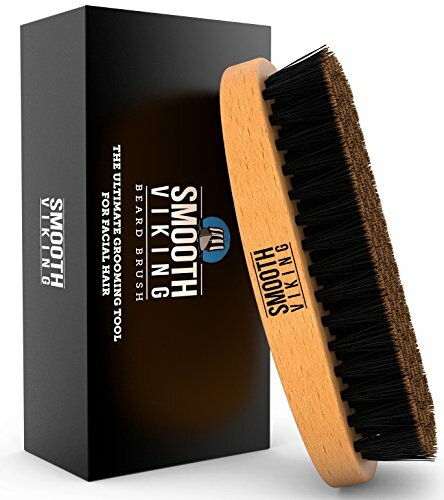 Easily Smooth & Styles Hair – This dual action brush makes it easy to set the beard style you want with an easy to handle handmade genuine wood head . This classic tool combs your facial hair & stimulates the skin underneath while shaping your beard. 9 to 5 centimetres. We selected an oval grip in the perfect size. This gives you something to clutch on to. Seven rows of natural boar bristles combined with oiled pear wood. Perfect look and feel. Whether a moustache, goatee, or full beard – our stylish beard brush tames and nourishes your beard! Facial hair not only lures ladies, but yourself as well. Does your beard get shabby and out of shape pretty quickly? This is exactly why you need the beard brush! Its natural boar bristles penetrate deep into your beard and gently separate and untangle your facial hair. In the process, the natural hair product from your skin is distributed onto your beard thereby regulating the natural sebum and blood flow of your facial skin. This is a proper no nonsense BigBoy Beard Brush designed to untangle and style Big Bushy Beards. 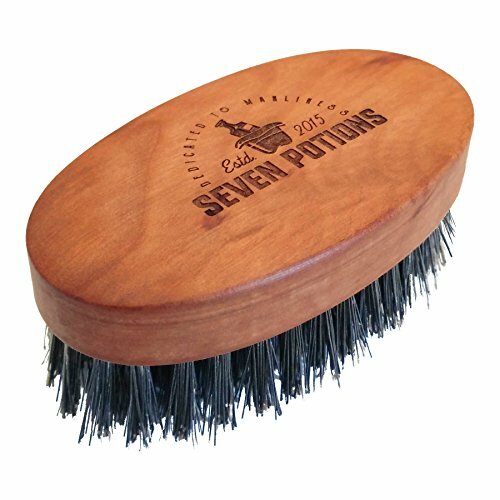 The Beard Brush features a wooden base and Stiff Synthetic Bristles that really get the job done, unlike the natural bristles. Made in Italy. No animal was hurt in production of the Brush, it is absolutely Vegan Friendly. 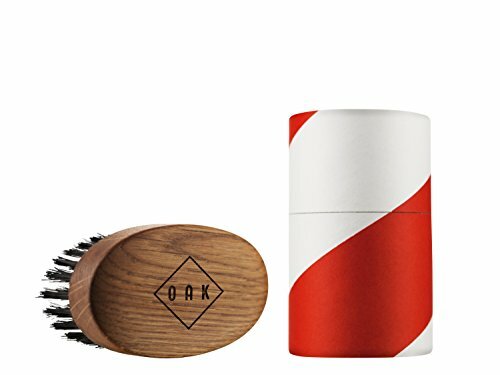 THE LAST BRUSH TO BUY: A beard brush made of 100% first-cut boar bristles in pear wood body. TAME YOUR BEARD: The boar bristles are stiff enough with the proper density to tame the most unruly beard. MAKES YOUR BEARD SOFT: The natural bristles carry the natural oils of your skin and facial hair and keep your beard soft and healthy. STRUCTURE given by Wunderbart. Give your face a great look by creating noticeable change in your beard appearance. DIFFERENT TEETH ensures that our comb can be used for facial hair starting at 3 mm, mustaches, massive and huge beards. NON STATIC – Other than plastic or cold metal, our handmade wood comb is esthetic and of cause non static. 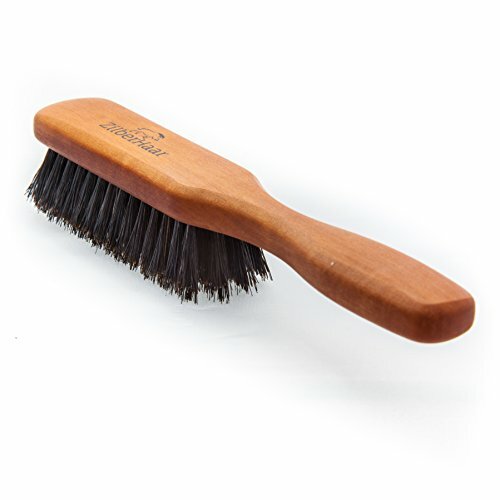 Oak wood brush with strong natural bristles. Shapes the beard. Massages the skin. 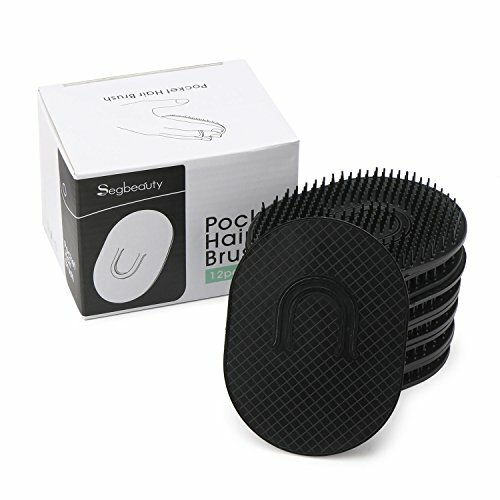 12pcs Pocket Palm Brush Set, value for money, handy for Anytime Anywhere – Carry it camping/backpacking, girlfriend’s house, bathroom, even easily kept in the console of your truck or car to make sure you’re always looking tight. Handy hair comb – small and thin, easy to carry, round shape and soft bristle, avoid causing any discomfort when slip it in back pocket like the 80’s fashion boys, without bulge (you don’t know it’s there). 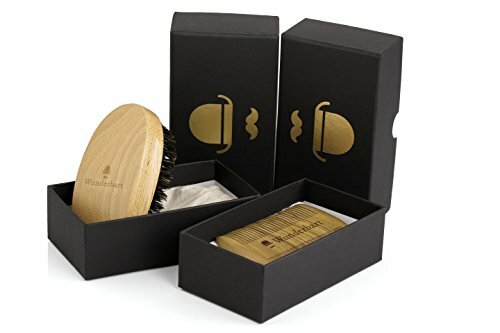 Especially for those have short hair or a beard, and these little brushes help stave off bed-face every morning, or clean scalp in the shower. The soft but strong round bristles brush hair to give you gentle look while massaging the scalp with comfort to improve hair health. 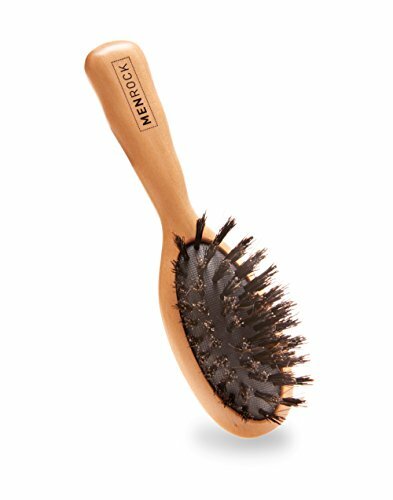 100% BOAR BRISTLES: Outfitted with 3 rows of firm first-cut natural boar hair bristles. 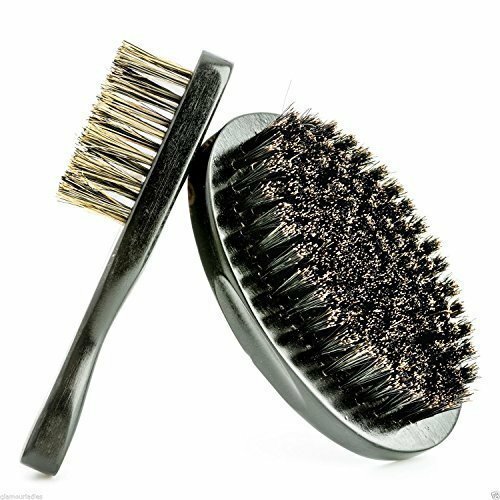 FIRM BRUSH: Boar bristles make this brush very firm for smoothing out the toughest of tangles. MASSAGE: Gently massage the skin beneath your beard for stronger, healthier, protected skin. 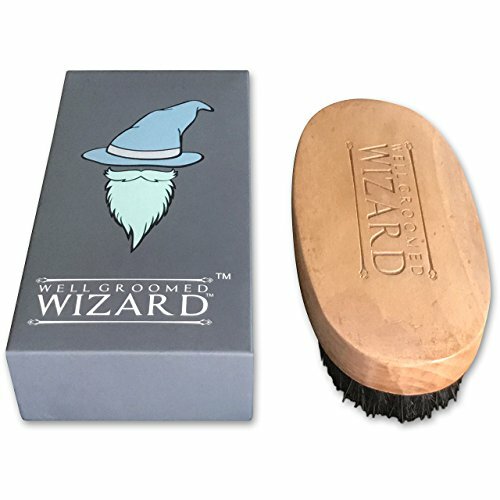 GROOMS & EXFOLIATES: The ZilberHaar Beard Brush will give your beard great shape and exfoliate your skin too. 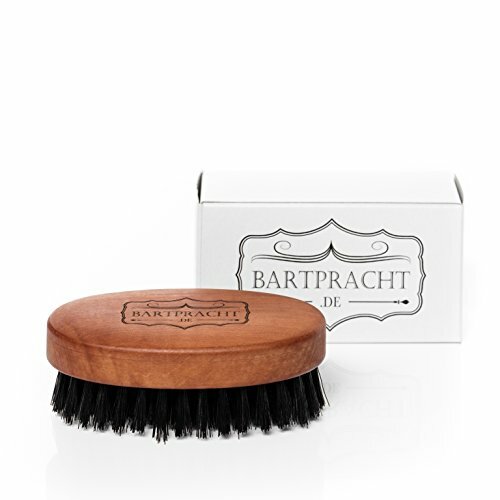 QUALITY: Made by German craftsmen, our beautiful pearwood and 100% boar bristle Beard Brush is built to last. SOFT, NATURAL BRISTLES: Our soft boar bristle Beard Brush is just as effective on beard hair, but is gentle on sensitive skin.